Chase Pay has launched across 7,500 Starbucks and nearly 1,400 Best Buy locations across the US, allowing shoppers to make payments by scanning a QR code at the point of sale. The service has so far only been available on “select merchant websites”. Customers can pay at participating stores, reload their Starbucks Card in the Starbucks mobile app, check Chase account balances and available credit and view transactions from the last 90 days. “In the future, customers will be able to use Chase Pay at Phillips 66, Conoco, 76, Walmart, ShopRite and The Fresh Grocer and at participating Shell stations,” Chase says. Chase Pay was unveiled during Money20/20 in Las Vegas in October 2015. Starbucks support was announced in February 2016, and Best Buy signed on to Chase Pay in September. 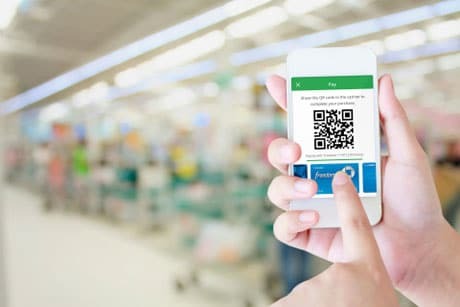 Walmart is to add Chase Pay as a payment option within its own Walmart Pay QR code-based mobile payment service later this year.